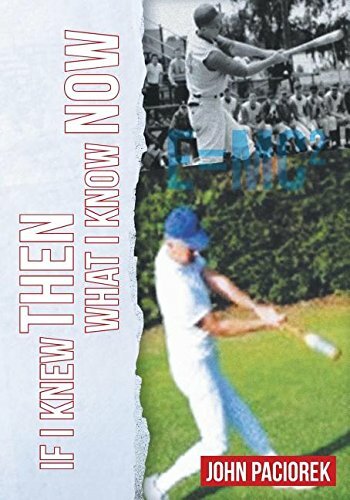 If I Knew Then What I Know Now! – Book by John Paciorek | Paciorek's Principle of Perfect Practice - Simplicity! Since my Publisher listed the price of my new 414-page book at $56.00, I would suspect that many people would hesitate buying it, even if it were Pulitzer Prize quality. Therefore I will present it to you in succeeding chapters until the 53 chapters and Postscript have been posted, one chapter at a time. If at any time during your reading, you feel compelled to buy The Book, you can probably purchase it at your local bookstore and Amazon, or you can request purchase directly from me, for an autographed copy. To begin posting, I’ll let you take a gander at the Cover, as well as the Table of Contents. The next Post will include the Foreword and Preface. Happy Reading! Chapter 4: One Glorious Day? Chapter 15: From Light to Darkness, Then Light Again! Chapter 26: Good First Game—Fun! Chapter 29: Step by Step, Line upon Line, Precept after Precept! Chapter 33: What Have You Done for Me Lately? Chapter 37: Let the Real Games Begin! Chapter 38: Improve on Perfection? Chapter 42: Cause for Concern? Chapter 46: Deliberate Home Run Hitter? Chapter 50: Can It Get Any Better? Chapter 51: From Where Does the Power Really Come?